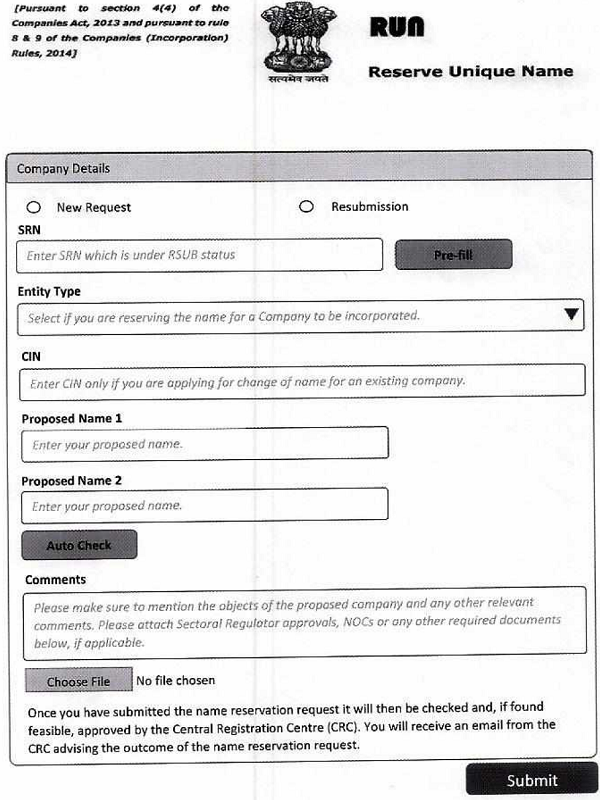 As part of the Ministry’s commitment for continuous improvement of processes and providing greater ease to stakeholders, it has been decided to permit (w.e.f 24.03.2018) two proposed names and one Resubmission (RSUB) while Reserving Unique Names for companies through the RUN Stakeholders may plan accordingly. (1) These rules may be called the Companies (Incorporation) Second Amendment Rules, 2018. K.V.R. MURTY , Joint Secretary.